Recouvert de lin blanc cassé ou vient se poser délicatement une jolie dentelle de Calais rouge. I am pleased to present this new creation. 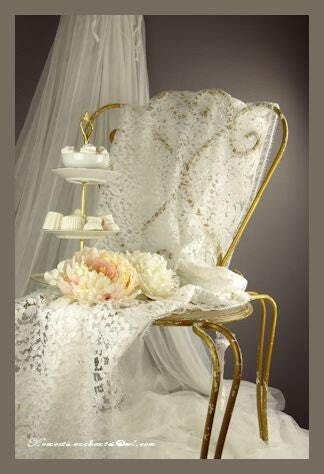 Guestbook Enchanted Moments collection "french Lace "
upholstered or alights delicately lovely lace from Calais. Each creation is unique and can not be exactly like the picture but the style remains the same. 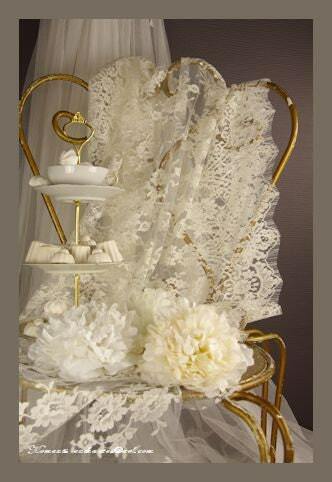 You can choose a fabric coordinated with the colors of your wedding. It is also possible to change the finish of opening jewelry. 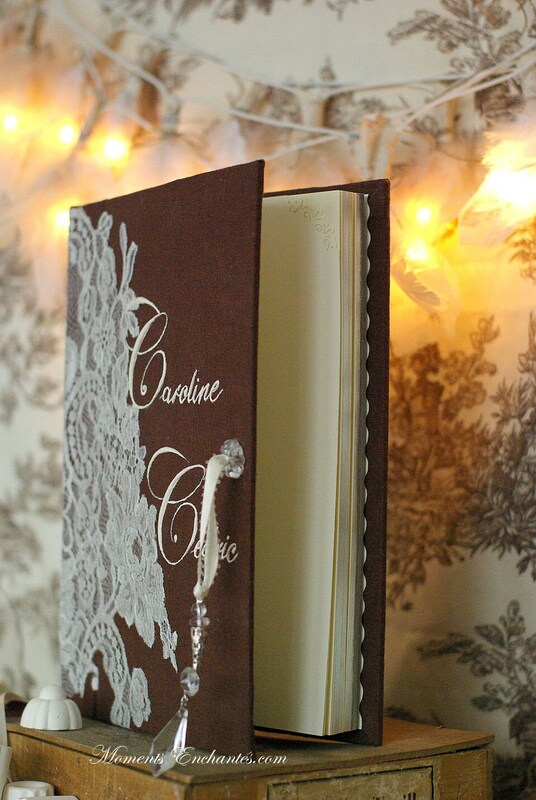 or more small coordinated thin ribbons serve to open the guestbook. 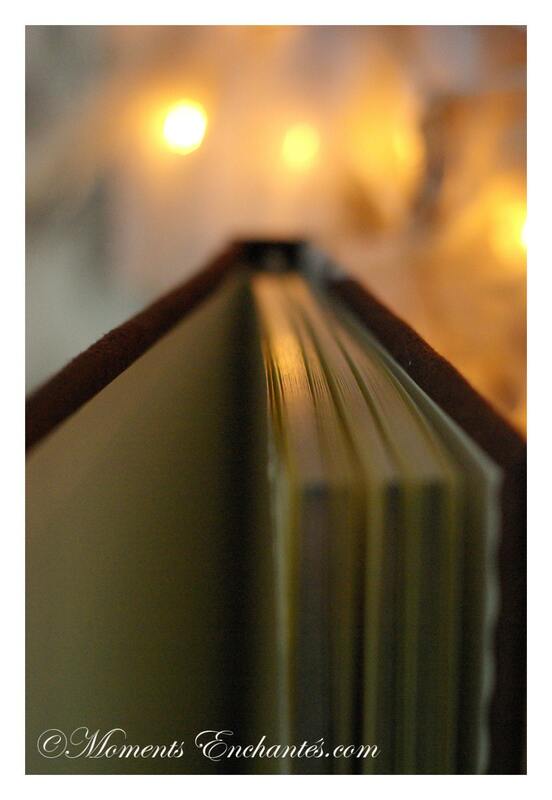 these details will be communicated to me before confirming your order. 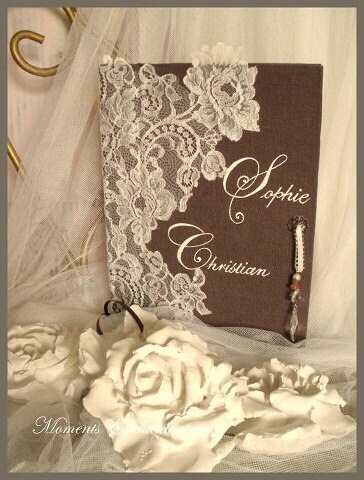 Thank you for your visit and for your interest in the creations © Enchanted Moments.